Personally, we think the “turn of the century” was accomplished by Dale Earnhart back in ’88, but not many others think of the phrase that way. Tim Eriksen, The Crickle, JD McPherson, and Joel Henderson all transport us to times passed this weekend. Fozzy Bear’s favorite band, the Waco Brothers, have produced their long-awaited collaboration with Paul Burch this week and, as luck would have it, have a party for it this weekend. Also hovering: Diana Ross and Electric Guest. The cover portrait on Lambchop‘s Mr. M (Merge) is not Vic Chesnutt (Chesnutt, for one, did not own such a hat), and he is not mentioned at anytime during the album. But the songwriter’s death is its centerpiece, and it captures with grace Chesnutt’s difficult but rewarding (for us, at least) existence. Once you’re through sullying the holiness of Record Store Day by celebrating its more consumerist aspects, Brendan Kelly, Modeselektor, Ed Sheeran, Serge Devant, and Anya Marina will throw their arms around you and try to get you in the door. We sent Ed Spinelli out to the Paramount Theater in Aurora on April 12th to capture Willie Nelson as he embarks on his Heroes tour. Is your favorite record store participating? 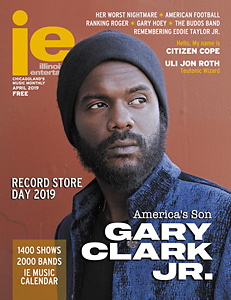 Head to recordstoreday.com/Venues to find out for sure, and be sure to call ahead in case they want to reveal what special items they’ll have in stock, and a good chunk of them will have food, in-store performances, discounts and food! The singer/songwriter profession requires an arrogance that says you’re the best person to sing your songs. Society has followed suit, forging a divide among all fans where an artist’s worth often hinges on whether one writes their own material. Live From Daryl’s House . . . live! Zip it good . . . zip it real good! In an interview, presidential hopeful Mitt Romney tells President Obama to “start packing.” Romney, after all, has been on the road since last fall, and wants Mr. Obama to be prepared for a grueling tour. Also on the road this week? For All I Am, Trust, Bear In Heaven with Doldrums, and Tanlines. It’s baffling that Company Flow’s first-ever Chicago show happened just now in 2012. Sure this NYC-based trio disbanded years ago, but they were only one of the most influential independent hip-hop groups of the mid-to-late-’90s. The forecast calls for precipitation this weekend, and also for a bunch of dudes to come to town. We spotlight Howlin’ Rain (natch), Good Old War, Bassnectar, and Fun. 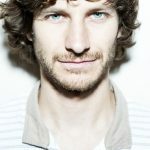 Gotye managed to jump from the Park West to the Aragon Ballroom without playing a single note in Chicago. This impressive leap probably irked the Belgian Aussie’s handful of devotees and those taking pride in unearthing the undiscovered gem.